How teachers can help create a positive school culture. Middle school is too often synonymous with bullying culture. Ask most middle school students to recall a story about bullying, and they’ll have one. Concerned students may find themselves on the sideline, witnessing behavior, yet unsure how to react. As educators, we want to empower our kids to change bullying culture to create positive change in our school communities. But how? 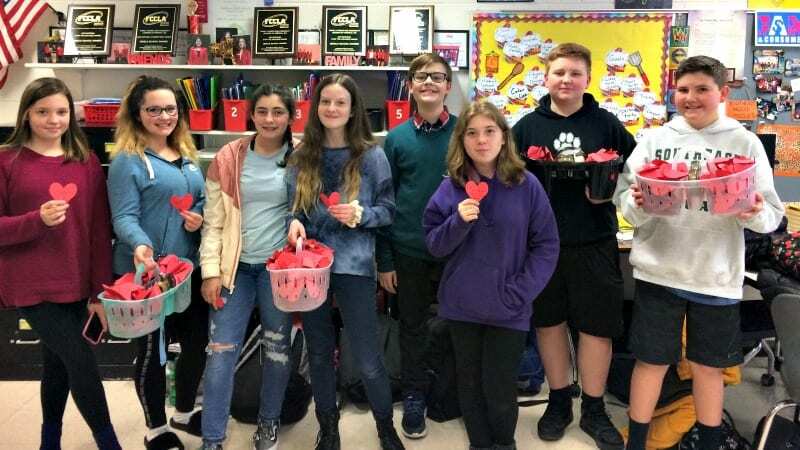 Jenny Watson, a North Carolina middle school family and consumer sciences teacher, believes that the middle school years are the best time to teach bullying-prevention skills. “Kids are so concerned at this stage with peer pressure and trying to look cool,” Jenny says. “It’s the point where they are really trying to figure out who they are.” To help shift the narrative, Jenny leads two school student clubs that foster leadership, interpersonal communication, and a positive school culture. How can we guide students to change bullying culture in their school? Hear Jenny’s firsthand experience and best practices for ideas to encourage true student upstanders in your school community. 1. Build solid relationships with students. Authentic relationships with her students is Jenny’s first priority. She uses simple gestures, like greeting students at the door with one of the four Hs (hit [fist bump], high five, handshake, or hug) and sharing personal stories, to make genuine connections with her students. 2. Focus on teaching social-emotional skills. Teachers know that social-emotional skills that focus on kindness and compassion are critical to dismantling a bullying culture. Jenny says that learning verbal and nonverbal communication skills helps students relate to others and prevents misunderstandings. Jenny’s students learn to define their values, sort priorities, and develop decision-making and leadership skills. In short, put in the effort, because this is huge. “We are helping them figure out who they are and what kind of world they want to live in,” she says. 3. Point them toward purpose in a bullying culture. It’s important to approach this topic in a way that engages all students—whether they are victims of bullying, upstanders or the ones actually engaging in bullying behavior. Jenny recommends EVERFI’s Honor Code–Bullying Prevention. Honor Code takes a positive approach to bullying prevention. It focuses less on who is a bully and who is bullied, and more on building positive school cultures. Developed in partnership with the Navy Seal Foundation, Honor Code offers five digital lessons that teach students to recognize their own leadership potential, practice upstander intervention, and build strong connections with others. EVERFI’s digital lessons, professional development, and local implementation support are all free for K-12 teachers. 4. Focus on school climate. The goal is to create an environment where bullying is not the norm, because it’s not cool, funny, or even tolerated. At Jenny’s school, the programming results speak for themselves. Discipline referrals have dropped from over 1,000 in 2015 to just 332 in 2018. In addition, in-school suspensions fell from 263 to 88 in just one year. 5. Identify leaders to help end bullying culture. 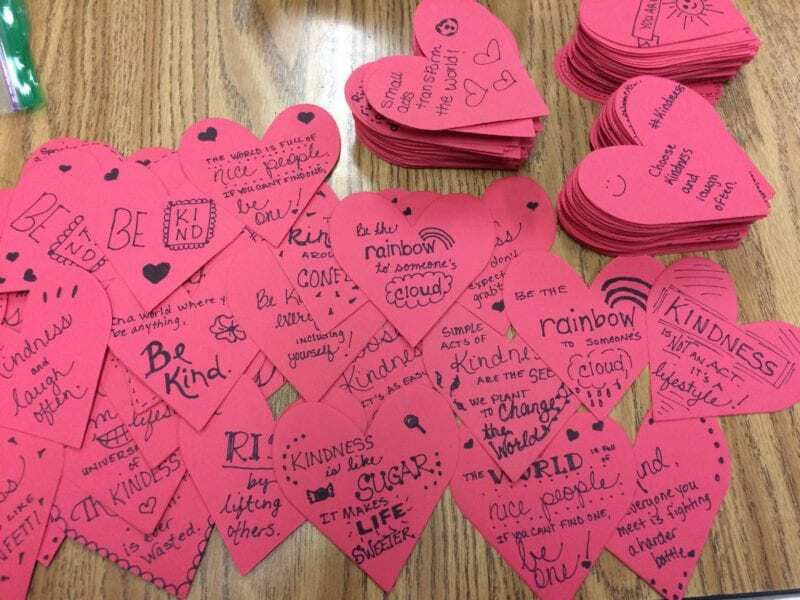 This February, her students decided that every student in the school should receive a valentine. They made thousands of red hearts decorated with quotes and pictures, and put one in every locker. Jenny says it’s these types of projects—full of meaning and inclusion—that will resonate with an entire student body. 6. Create inclusion to curb bullying culture. The more connected students feel to their school community, the more invested they are in creating a positive climate. Empower students to decide what role they can play and how they can contribute to their community. Provide lots of opportunities for kids to find their role and make connections. Ask questions like: What are you interested in? How can you build a support group? Encourage them to join activities where they will find friends with similar strengths and passions. Groups are built on the foundation of shared goals. Encourage students to treat classmates like teammates and view each member’s unique skills and talents as a benefit to the entire group. The same skills students learn to discourage bullying today can help them become the influential leaders of tomorrow. 7. Promote a positive school culture with special events. Jenny and her team pump up school spirit by planning fun events that coincide with national school-climate events. For example, during National Bully Prevention Month in October, students stretch Unity Day into Unity Week. They plan activities to showcase kindness, acceptance, and inclusion. Also, they celebrate Random Acts of Kindness Week in February. Each day there is a dress theme and a task to complete. On Marvelous Monday, for example, students dress as superheroes and are encouraged to “be a hero” by saying hello to three people they don’t know. Tourist Tuesday has students dressing as tacky tourists and smiling at someone outside of their regular crew. Also, on Furry Friends Friday, students who donate a dollar or a can of pet food are allowed to wear hats in school. 8. Engage in service learning to ditch a bullying culture. 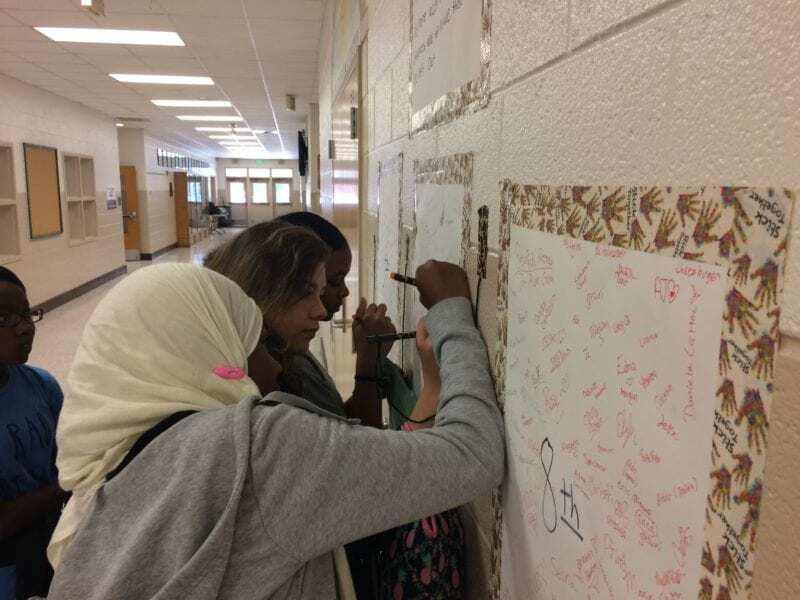 Through Honor Code, students have the opportunity to complete a Capstone Project where they take what they learned in the lessons to create positive change in their own school. 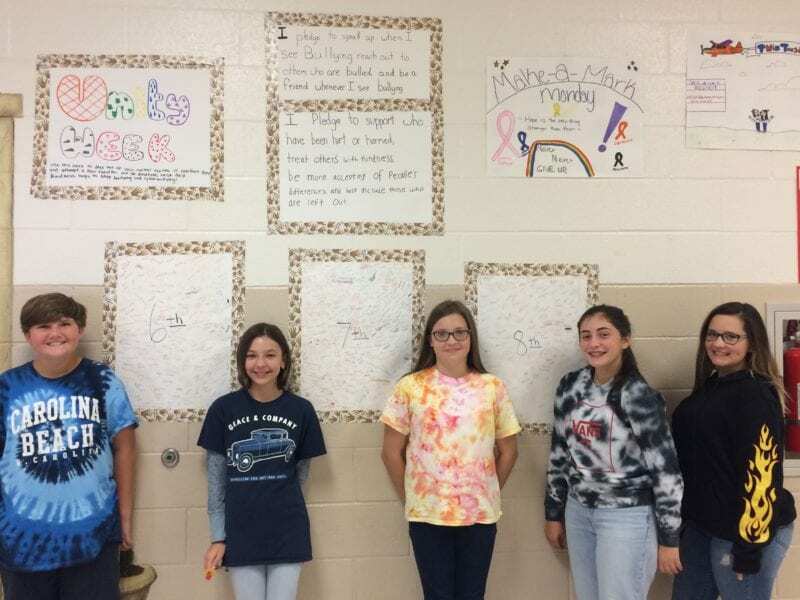 Jenny’s team of students partner with organizations like the National Honor Society, the student council, and the Parent Teacher Student Association to encourage school-wide service learning. One fun activity Jenny’s group co-facilitated was called Fill the Bus, which focused on raising awareness around food insecurity. Throughout the day, staff members would get “arrested” and could only be released with a “bail” of a certain number of donated food items. The student body raised an amazing total of 18,000 food items that day. Jenny loves her job and is proud of the difference she makes in the lives of her students. “From the time I was in middle school,” she says, “I knew I wanted to make an impact.” Teaching her students to be upstanders and want to exist in a non-bullying, inclusive culture, and witnessing the turnaround in her school’s culture has done just that. EVERFI offers interactive resources like Honor Code to empower students to think critically and create change. It’s free for K–12 educators!